Improve forest health to reduce smoke in this era of climate change. 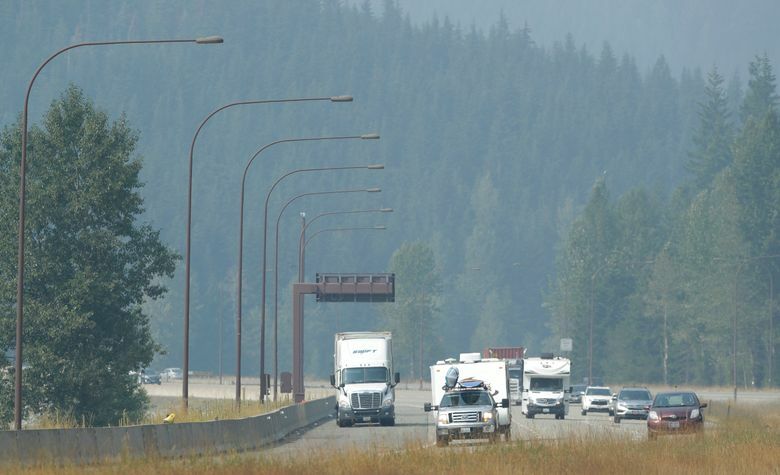 Virtually every one of us here in Western Washington has weathered some version of these experiences in recent days, as air quality in our region went from bad to miserable. Not only did airborne particulate levels hit historic all-time highs, but Seattle had the unhappy distinction of having among the worst air quality on Earth. Enough is enough. It’s time for the Pacific Northwest to have a meaningful conversation about forest management in the era of climate crisis. In fact, we can do something about it. It’s time to press our elected representatives at every level of government to work with public lands administrators, ecologists and forest managers to create a plan to heal our bone-dry forests. A century of policies promoting fire suppression, clear cutting and poor second-growth management has left us with forests highly vulnerable to fire — on both sides of the border. And as we’ve learned the past few Augusts, smoke travels fast and needs no passport. We can’t afford to address this urgent public-health crisis wearing political blinders. Whether you identify as American or Canadian, Republican or Democrat, we all breathe the same air. The back-to-back “smoke storms” of 2017 and 2018 should drive us to elevate the issue of forest management and air quality as never before. This should include working with our neighbors to the north to create an international strategy for making forests more resilient and fire-resistant through selective logging, thinning and removing invasive underbrush. It’s time to connect the dots and engage our best forest science in order to protect the health of children, elders and families in the Pacific Northwest. Look outside. We can no longer ignore the fact summers are becoming hotter, drier and longer — even in the Evergreen State. Rather than allowing the recent air-quality crisis to depress and immobilize us, we can use it to fuel a long-overdue dialogue about the steps we must take to ensure our region remains a healthy place to live and work for the long haul. Moreover, retrofitting our forests to withstand 21st-century conditions presents tremendous economic opportunities and countless jobs in the natural-resource sector. Imagine thousands of young Washingtonians, Oregonians and British Columbians stewarding our region’s legendary forests for maximum productivity and maximum protection. It’s not a pipe dream — it’s about priorities and political will. We can fix our forests and prevent future apocalyptic scenes like the ones we’ve witnessed in recent days. No matter which side of the political aisle you’re on, a smoke-choked Washington is not a state of affairs any of us wants to endure. Because in the end, if we can’t breathe, what do we have? Anna Elza Brady is a 2018 graduate of the University of Oregon School of Law, where she earned a concentration in environmental and natural resources law. She lives in Olympia.